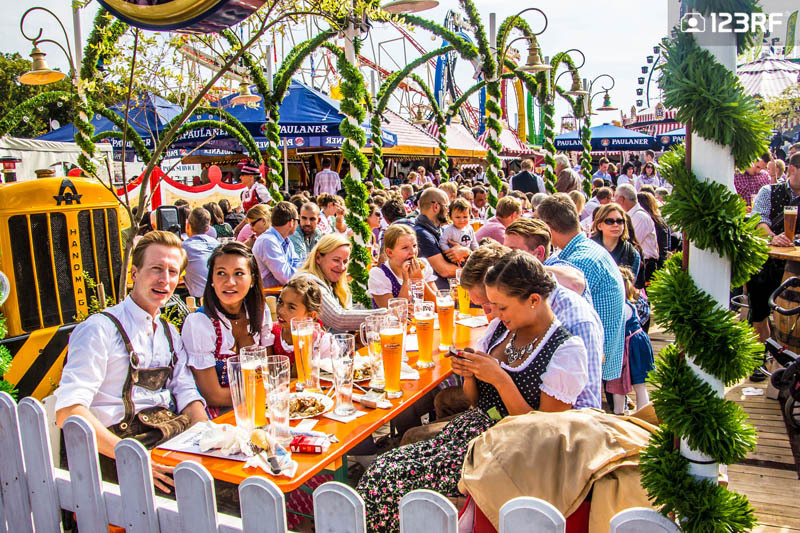 From September 22 to October 7, the world will witness the splendid Oktoberfest. 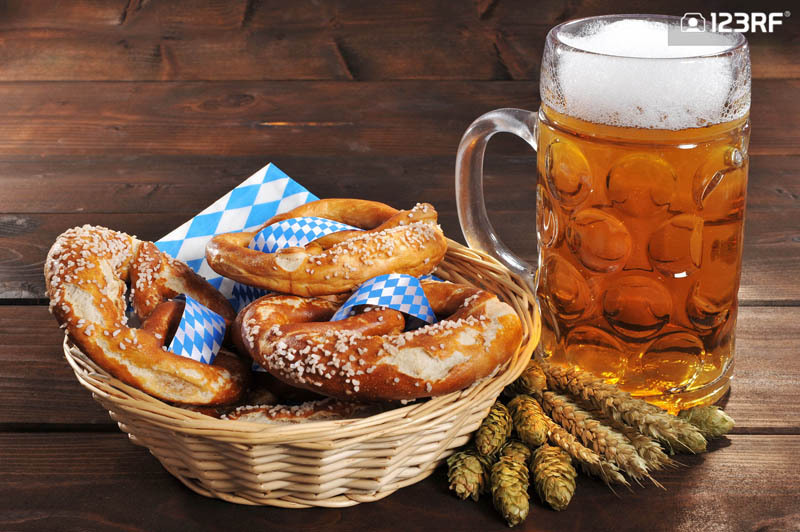 Here, clinking mugs, giant pretzels and warm Bavarian hospitality take center stage. So grab your dirndl and lederhosen as we give you the low-down on why Munich is the place to be right now. Drink and ride? Fairground rides at the Oktoberfest. Image courtesy of foottoo@123RF. On October 12, 1810, the Bavarian Crown Prince Ludwig married Princess Therese of Saxony – Hildburghausen. The ceremony was celebrated by the residents of Munich. For days, horse racing, parading, drinking and feasting were the only agenda. Addicted to the celebrations, Munich decided to repeat the festivities and all its accompanying indulgence, the following year. The rest, as they say, is history. This one time royal event has transcended into a proud German tradition. And from that, it has evolved into a tradition that almost everyone wants to adopt and adore. 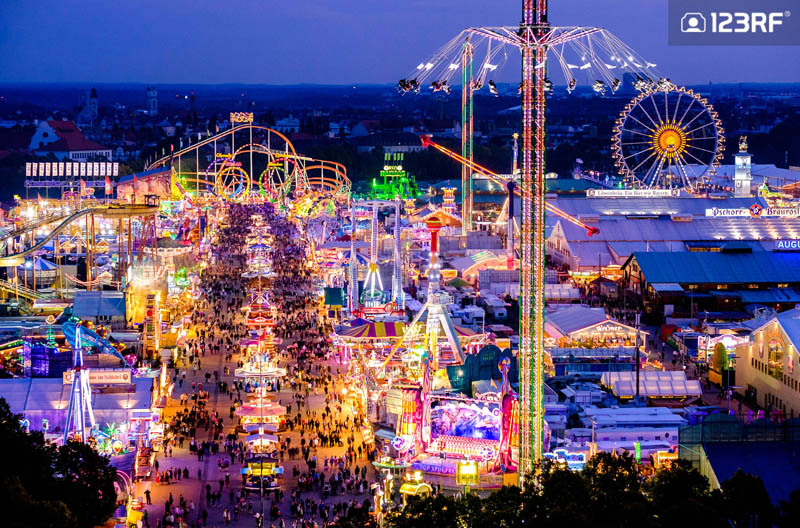 Therefore, it is no surprise that the annual Oktoberfest brings in an estimated 6 million tourists. 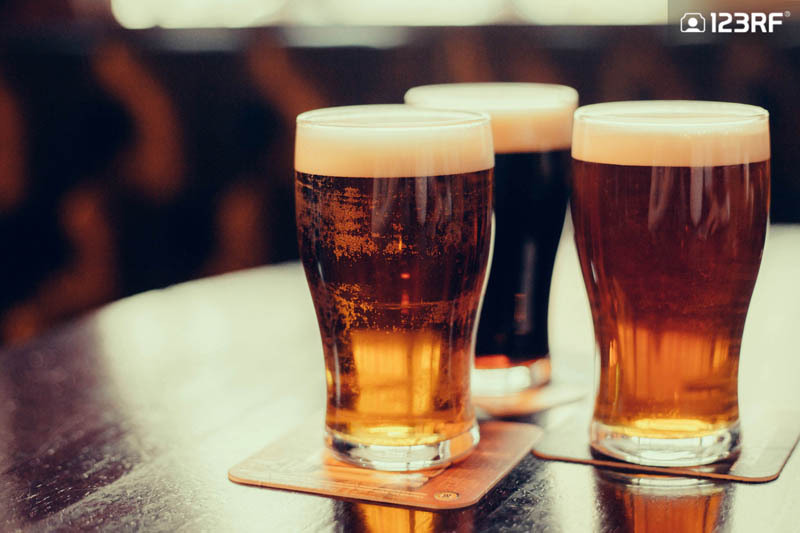 Along with more than 7 billion liters of the finest local beer being pumped into the expanding bellies of the attendees, this is one German heritage that you do not want to miss. Throwback! The Hippodrom was first opened in 1902. However, it has now been replaced by the Marstall. Image courtesy of Sean Pavone@123RF. Remember to come all dressed up in a lederhosen or drindl. The grand festival is held in a meadow, just outside of Munich. The Theresienwiese fields was named in honor of the Princess. These days, the festival grounds are better known as weisen. Day one of this folk festival kicks off with a colorful parade. Carriages and floats are beautifully decorated and people come out in full force to mark the beginning of the Oktoberfest. The landlords and breweries of this must-see event often take the limelight during the parade. This is then swiftly accompanied with the start of the drinking session of course. Next, the Oktoberfest Rifleman’s parade takes place on the following day. 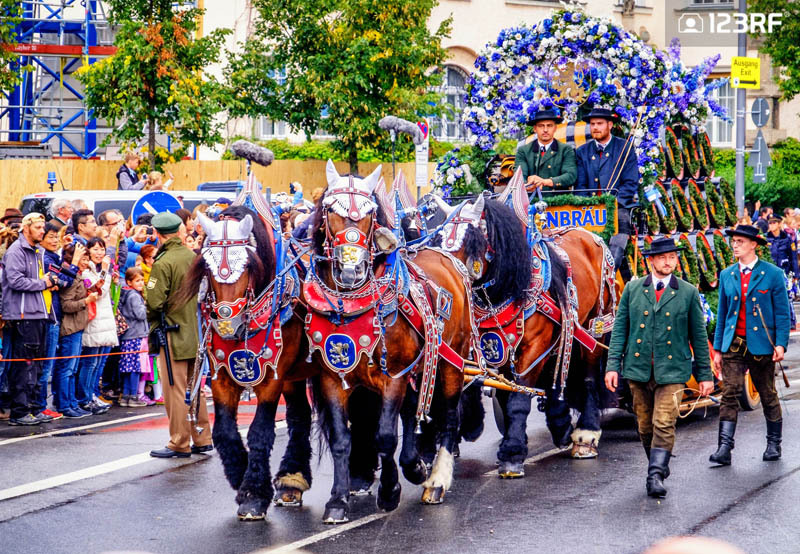 The procession gives an incredible insight into the diversity of customs rooted in the heart of Bavaria. This seven kilometer-long parade sees a succession of regional costume groups, marching bands, riflemen, and horses marching through the streets of Munich. In addition, the following Sunday sees the massive open air music concert. Here, 400 musicians arrive to entertain the joyous and thirsty attendees. 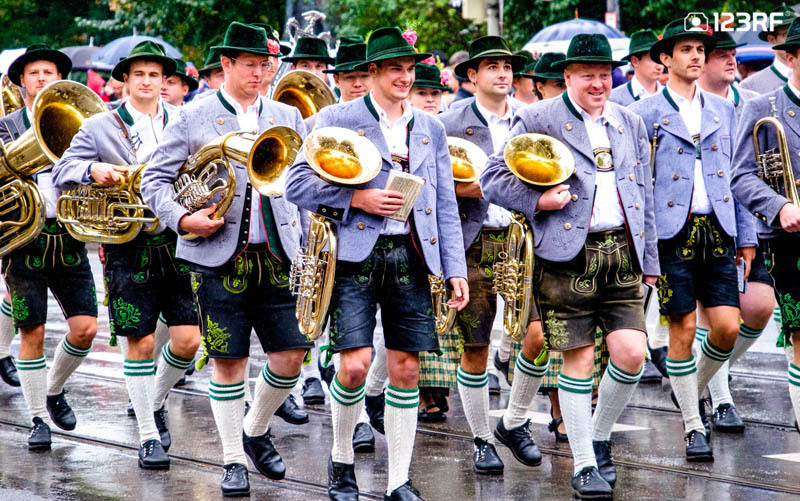 The grand opening day parade of Oktoberfest is not to be missed. Image courtesy of foottoo@123RF. The opening day parade reminds everyone on why Oktoberfest is so much more than a beer festival. Image courtesy of foottoo@123RF. However, the top attraction remains to be the beer, of course. The wiesen has many tents, each serving up its own distinct charm. 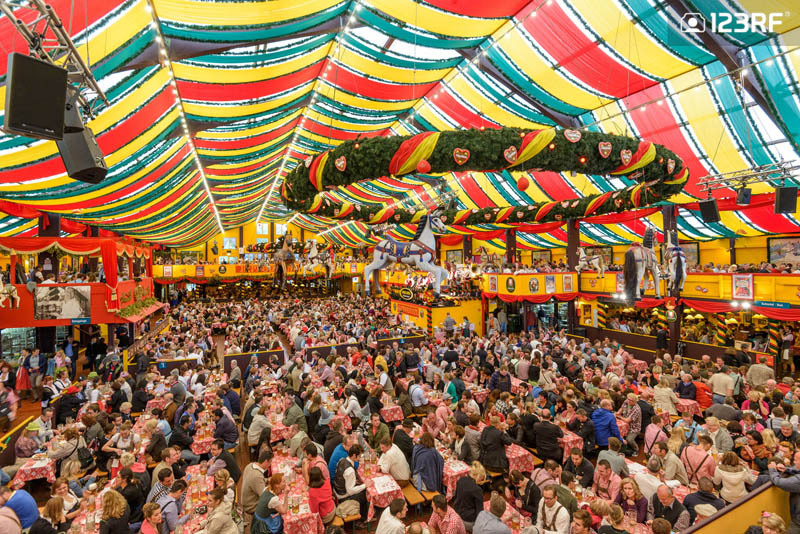 The Augustiner Festhalle is one of the bigger tents and is moderately packed and popular with families. 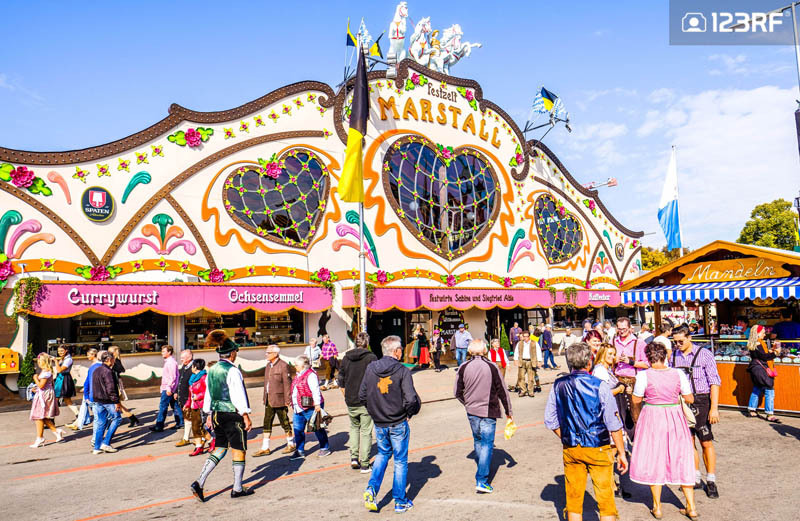 The Festzelt Marstall and Lowenbrau will transport you to an all – German circus atmosphere. Meanwhile, the Hacker Festzelt is decked out with bright, dreamy clouds at the top. Finally, the Schottenhamel is the largest and most iconic tent. This is where the first beer of the festival is poured, much to the delight of the 10,000 ecstatic participants. There’s no such thing as being too old to enjoy fairground rides. Image courtesy of foottoo@123RF. The Festzelt Marstall offers patrons an amusing experience while enjoying some of the finest German beer. Image courtesy of foottoo@123RF. The fame and popularity of this event indicates there will be massive amounts of visitors. Hence, it is understandable that a few rules have been imposed to ensure a smooth flow of activities. In 2018, all large bags and rucksacks will be banned. Bicycles, scooters and skateboards are no different. Additionally, it is highly advisable to look for alternative routes to the festival grounds. Therenweisen station is expected to be jam packed. Hence, if you arrive at the central station, try walking to the fields. Finally, in a bid to avoid large crowds, check out the Weisen Barometer. This feature shows you the best time for a quiet stroll and the privilege of enjoying your drink even more! 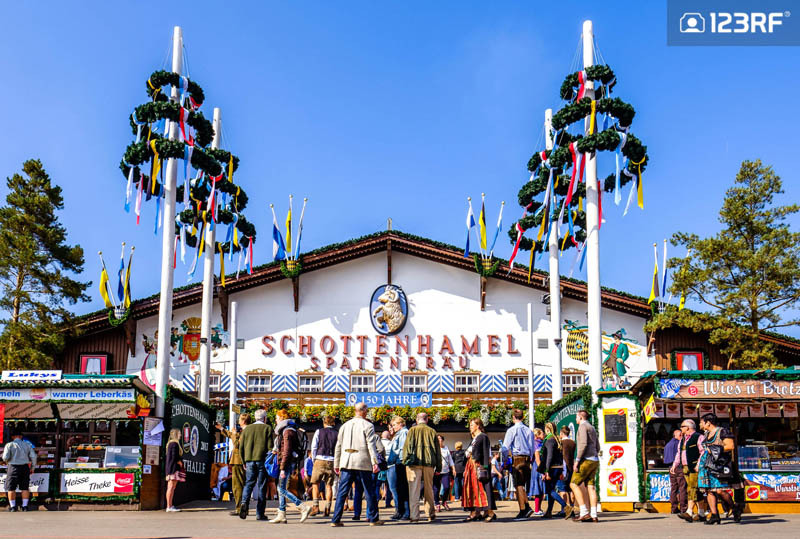 The Schottenhamel is the largest and most iconic tent in this German folk festival. Image courtesy of foottoo@123RF. One of the biggest conundrum’s of this folk festival is accommodation. Cheaper options tend to be swiftly sold out. The same goes for hostels within close proximity. A good alternative is to camp at the site. 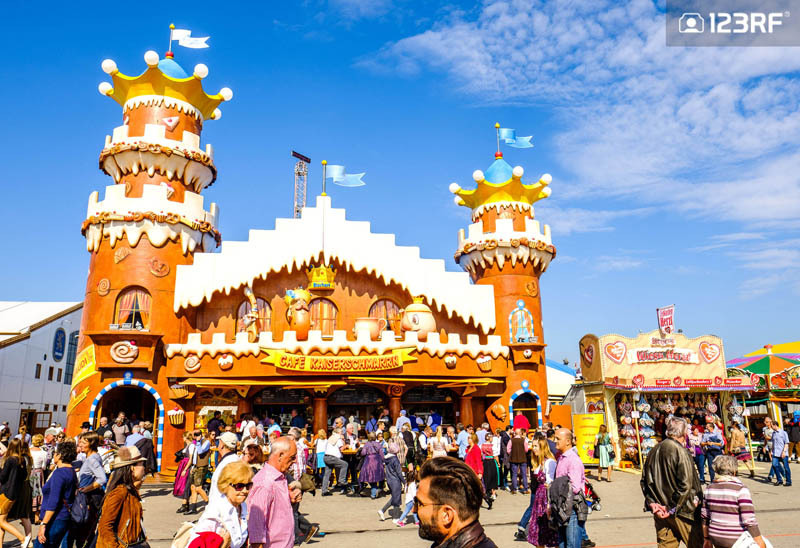 The Oktoberfest Camping Munich – Riem has over 800 sites for campers. in addition, RV’s, camping buses and trailers are all welcomed here. The nearby mart enables visitors to pick up any essentials during their stay. This includes beverages and fresh bakery goods. If that falls short of your expectation, then the on site meal catering services promises to keep you well fed. Furthermore, the well – equipped showers makes for a comfortable stay. Lastly, here’s a shootout to Oktoberfest newbies. Remember this is a marathon, not a sprint. Chances are, you would be drinking continuously for 12 whopping hours! So consider having a spoonful of butter or olive oil before heading out. It allows you to have an extra mug or two, without having to worry about becoming a bierleiche, (beer corpse) hopefully! 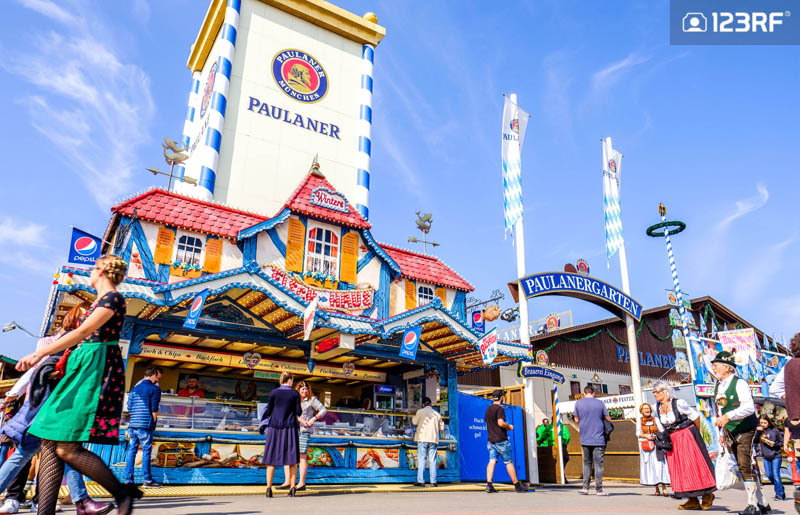 The Paulaner Brewery joins in the fun and festivities of Oktoberfest. Image courtesy of foottoo@123RF. All that talk about the greatest beer festival has got to make your throat a little dry. However, one question remains. Botteled or draft? For the former, the sound of the popping bottle cap is orgasmic to your ears. As for the later, the sight of the perfect pint being poured is a work of art. Be it ale, lager, stout or pilsner, there is nothing like that hit of an ice cold beer on the tip of your tongues. Therefore, we have handpicked a collection of images to tease your throats and to celebrate one of the world’s best drinks. Entitled ‘Don’t Fear The Foam’, the image series also aims to turn the average consumer into a true beer aficionado. Prost! 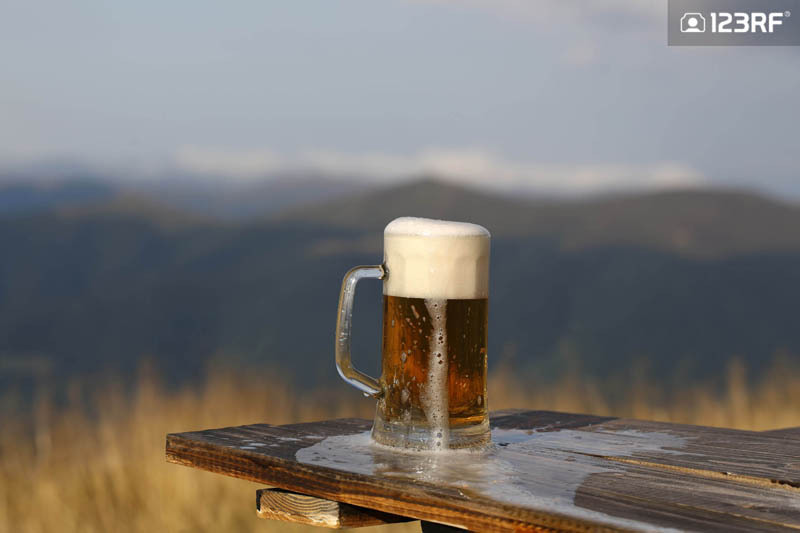 Talk about a having a beer with a view. Now all that’s left is to fire up the pit. if you’re thinkin’ about my baby, it don’t matter if you’re black, brown or golden. The heart and soul of Oktoberfest: A giant pretzel and a fine German beer. 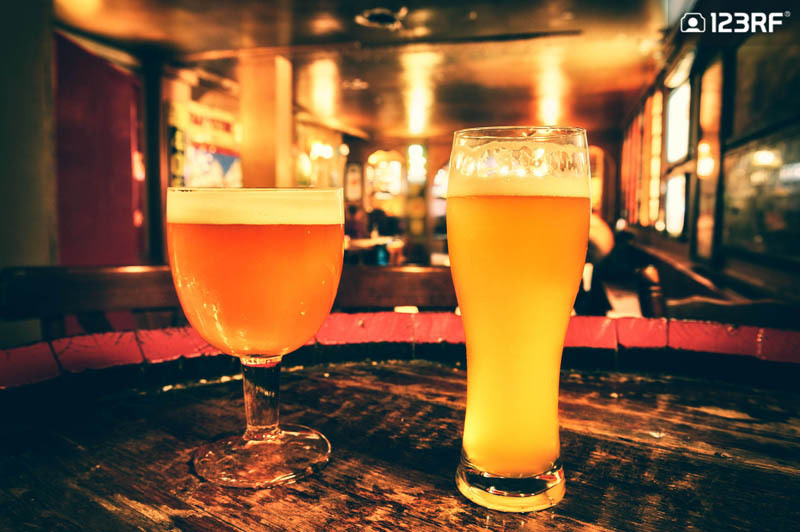 Do you prefer your beer in a goblet or a pilsner? That’s right, both! If you are looking for more travel options, read up on 10 lesser known travel destinations to visit in Russia. Additionally, if photography inspiration is what you seek, check out 10 colorful wonders to visit for breathtaking photography. Finally, visit 123RF for more stock photography inspiration to breathe life to your travel tales for your blog, magazine or website!